Automate customer communication with SMART IVR of Office24by7.  The cloud hosted service allows you to manage incoming calls by routing all calls to the right departments. With no additional installation, maintenance and upgradation cost, it is the perfect communication tool for you as your business grows. Office24by7’s SMART IVR allows you to create one number for your business, integrate Missed Call service, get SMS Feedback, send SMS with short URL and analyze employee performance with graphical Reports.